You may have heard that spring and summer are the top home-selling seasons, and that fall is as dead as those leaves piling up on your lawn. But don’t be fooled. 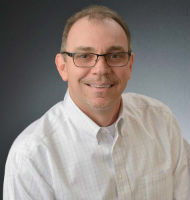 So if your house is on the market right now, take heart! 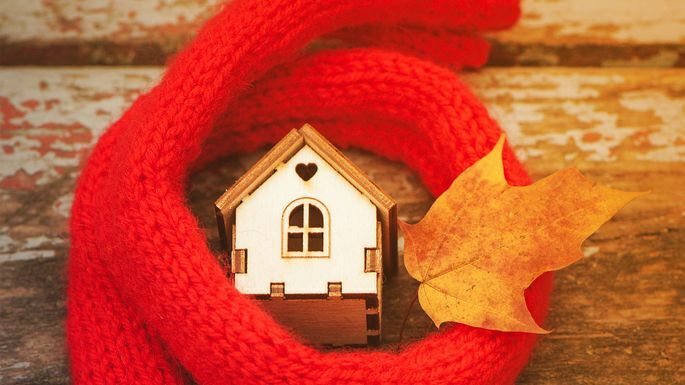 And heed what many experts say is the one best thing you can do to reel in buyers: Give your home an autumn upgrade with some staging. To the uninitiated: Staging is the technique sellers use to showcase their home at its best through upgrading furniture and decor. And celebrating all things autumnal is the way to do it successfully now. 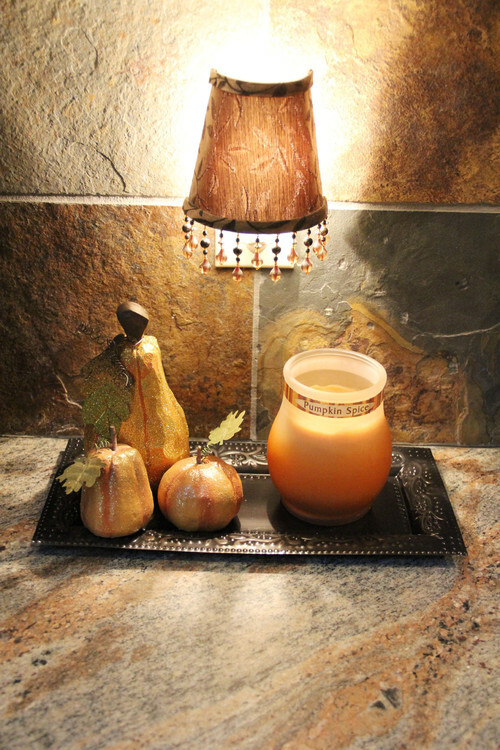 To tap into the fall frenzy, here are some staging tips that will help your home exude a cozy ambiance that'll get those offers rolling in. 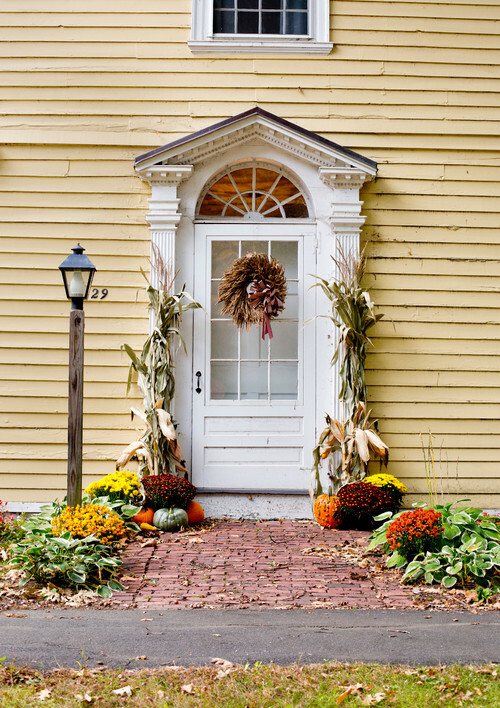 Focusing on curb appeal is the perfect way to get off on the right fall foot, says Amber Harris, a real estate agent with Washington, DC–based Keller Williams Capital Properties and owner of At Home DC, an interior decorating firm. Complete the vignette with a cute fall-themed doormat and shined-up light fixtures to greet guests, as the sun will soon be starting to make an early exit. And while fall leaves are great to jump in, they are not so fantastic littering the lawn of the home you are trying to sell. So make sure that you take care of any errant foliage before potential buyers arrive. It turns out that while autumn appears to be fairly universally loved, Halloween is not so much. 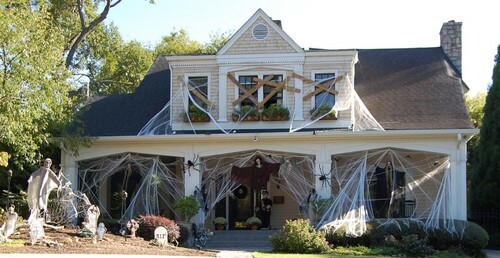 “Not everyone celebrates Halloween or will enjoy a scary Halloween-themed house,” Encarnacion says. Changing leaves mean changing colors, Harris says. 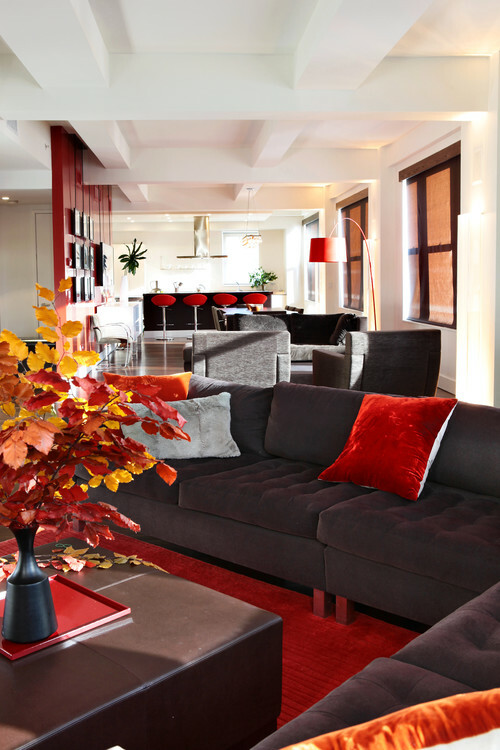 If summer is all about bright popsicle tones or beachy blues, autumn is associated with warmer neutrals—think the deep reds, burnt oranges, and golden yellows reminiscent of the shades of fallen leaves. Sprinkle these warmer tones around your house in your table décor, bathroom and kitchen towels, accent rugs, and even art, but do make sure they complement any existing color palette, she notes. Most folks love the shorter, crisp days of autumn, so have your house reflect that vibe, suggests Abra Landau, design expert at home stager Fashion Furniture in San Diego. Warm up your couches and chairs with comfy throws, blankets, and pillows in autumnal tones and textured fabrics like chenille, herringbone, or corduroy. Swap out airy summer sheers for more substantial drapes or shutters, and trade a summer sisal or jute rug for a wool area carpet. Light a fire if possible, and make sure there are plenty of candles adorning the tables and counters. Finally, don’t forget to turn on extra lamps, as sunlight wanes earlier in the day. Baking a pie in the oven might be an overused home-selling trick, but if you’re into it, there’s no better time to do so than fall. Scents of cinnamon, apple, and (let’s not forget the smell of the moment) pumpkin spice will all help potential buyers picture themselves baking up something luscious after an afternoon of apple picking. If baking up a treat isn’t your style, add scents around the home through spiced-scented candles, oil sticks, or potpourri, suggests Landau. 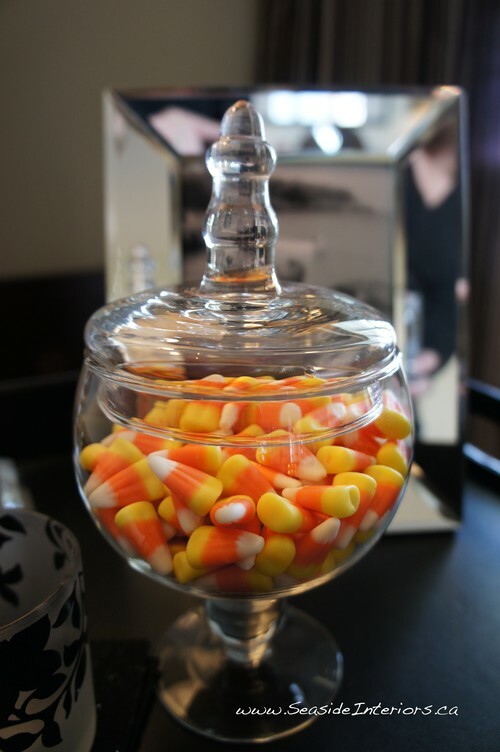 “It’s become standard to see pasta or beans in clear glass jars in the kitchen, but consider placing a simple cylinder filled with candy corns or other colorful fall candies on a buffet,” Harris says. And probably no one—even those who might not be big Halloween fans—will mind if you put out a bowl of fun-size candies, ready for trick-or-treaters as well as fatigued home buyers who need a sugar boost. 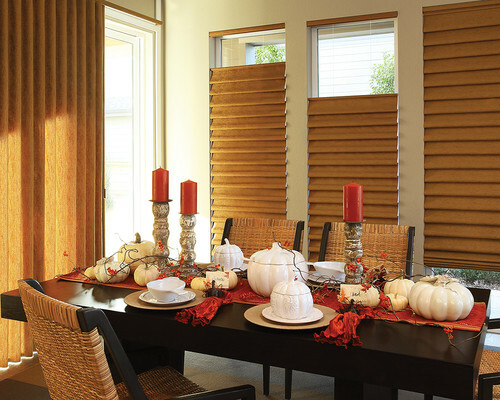 We know what’s right around the corner—Thanksgiving—and families will be thinking about gathering loved ones around, maybe even in the new home. Appeal to this dream by setting the table as though you were expecting a large group for a sumptuous feast. Go big with china and crystal and fall-hued place mats and chargers, Harris recommends. 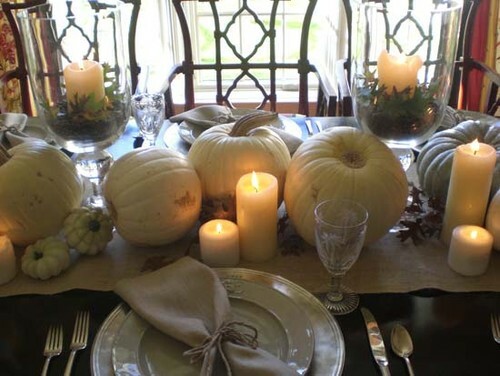 Dress the table with a runner, accented with a fall-themed centerpiece.